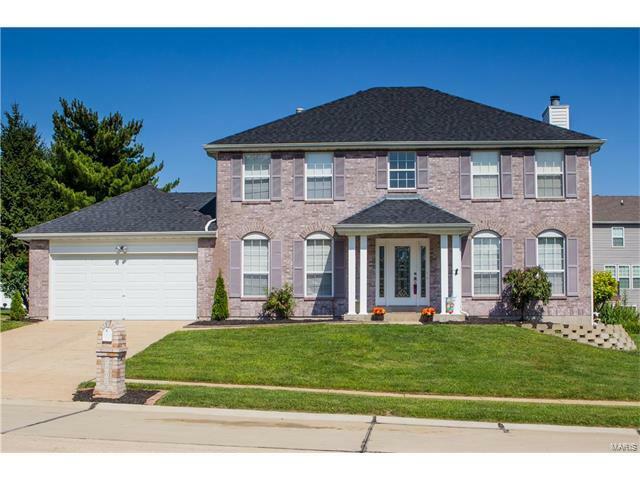 **Motivated Seller** Stunning Executive 2 story home w/beautiful brick exterior. This spacious home has 4 bedrooms, & 2.5 updated bathrooms. The kitchen has plenty of custom cabinetry, stainless steel appliances & a convenient center island. Just off the kitchen is the elegant dining room for formal occasions & the family room has a large bay window and cozy fireplace. Upstairs you'll find the master bedroom suite with dual sinks and walk-in closet as well as 3 additional bedrooms. The finished lower level offers additional living space, perfect for entertaining. It's wired for surround sound, has a large recreational area, additional room used currently for workouts. You'll find plenty of storage as well. For your outdoor entertainment and relaxation, there's the large heated in-ground pool surrounded by a great patio deck. Main floor and lower level washer dryer hook ups. You are in walking distance to the high school & minutes to Page ext. & hwy 70 & plenty of shopping/restaurants. Hackmann Rd to Diekamp Farm Trl, Right on Diekamp Farm Trl, home is on the right side.